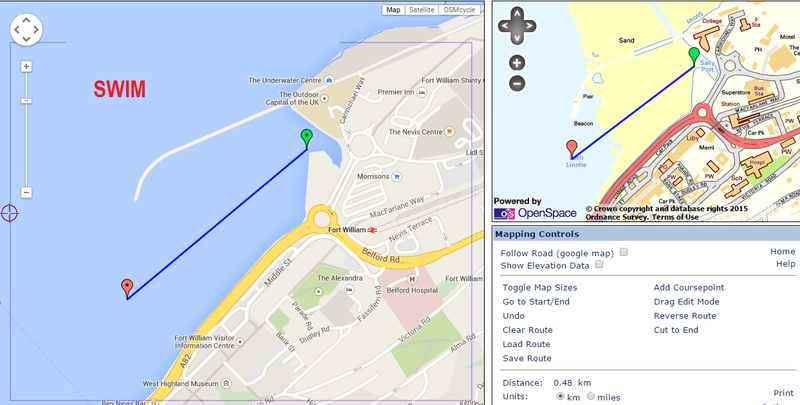 Water entry will be from 06:30 and the swim start is 06:45. The course will be 2 laps. The first lap must be completed in 45 minutes (Wetsuit compulsory). The swim will be a deep water start at 06:45. At the completion of your swim you will exit the water where you entered. The course may change due to weather conditions and sea state. There will be buoys marking the route and larger buoys marking the turn points. 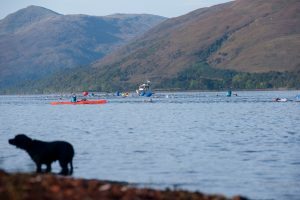 Canoes and safety boats will be on hand for any swimmer experiencing difficulties. If any swimmer does experience difficulties, they should turn on their back and raise their hand. Medical assistance will be available on shore. Wetsuits will be compulsory. On leaving the water, competitors will pass the timing station to record times and then follow a carpeted path to transition. Please note that the generous cut off time of 45 minutes to complete the first lap will be strictly adhered to. Anyone outside this time will be moved on to the bike section.